I love fish broth so much it’s almost painful. That’s a pic of me sucking up the fish brothy remains of a bouillabaisse I ordered on Cape Cod last summer. The waitress thought I was done and took my spoon away. The horror! The broth was so amazing that I just grabbed a straw and continued slurping it up. Now I know that image can be a little shocking to many people. But not because of the straw, rather, because of the fish broth itself. As a Nutritional Therapist I am constantly reminded how off-putting anything fish-related is to many people. Many of my clients refuse to eat any type of fish. They just hate it. Some of my family members are the same way. Because so many of us grew up eating icky fishy things like frozen fish sticks and god forbid, filet o’ fish sandwiches, it has created a negative connotation to anything fish-related. But REAL fish broth, made at home, should NOT taste fishy! Made the right way and combined with things like vegetables, herbs, spices and wine, fish broth features so many other wonderful flavors that are very palatable to most western tastes. And yet, even people who like fish broth rarely make it at home anymore. 1. Fish Broth is the Cheapest Broth to Make! Have you noticed the price of bones rising lately? I sure have. 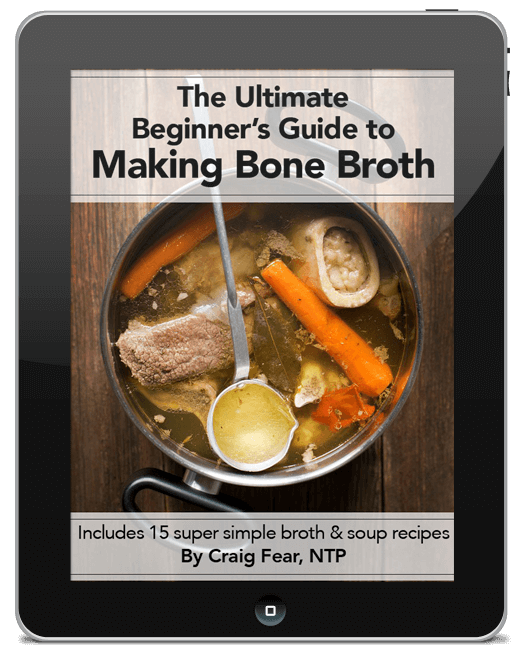 I’m pretty sure this is because so many people are now interested in making REAL bone broths. But fish bones are still the cheapest, by far. In fact, you can often get them for free. Just ask your local fishmonger to save some fish carcasses for you. They’d be thrilled to do it because after they filet the fish, they just throw them out! At most, they’ll charge you a few bucks. There are many ways to make real food affordable and making fish broth is one of the best ways to do it. All you need is an hour! And that’s because both the bones and the fats in fish are much more delicate than from land animals. Thicker bones from chicken and beef require longer simmering periods to withdraw their nutrients. Simmering fish for lengthy periods will leave you with a gross, overly fishy, bitter, stinky broth. But when you do it for an hour, the fats release more delicate flavors into the broth. Along with some vegetables, herbs and wine, it gives the broth more of a subtle fish essence rather than a fishiness. So let me show you how to do it! How many friends and family do you know with hypothyroidism (an underactive thyroid) today? 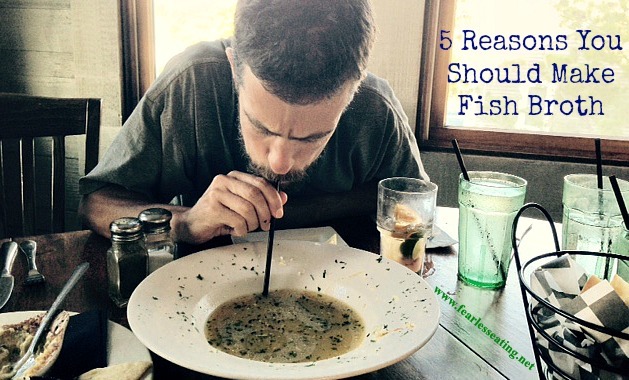 How many friends and family do you know that regularly consume fish broth? I’m guessing your answers would be like mine – many and zero. The thyroid gland controls the body’s metabolism. Today, millions are diagnosed with hypothyroidism which causes a sluggish metabolism. Weight gain, low energy and depression are common symptoms. 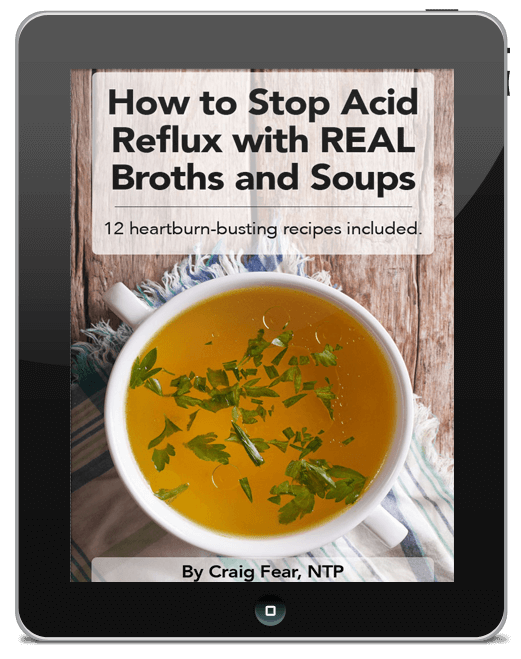 Well fish broth is a great source of iodine and we need iodine to make thyroid hormones. Furthermore, fish heads, prized throughout Asia, contain the thyroid gland of fish. Traditionally, a good fish broth was made from both fish heads and fish carcasses. When I was in Burma, I fell in love with a traditional fish broth soup known as mohinga which the Burmese have every day for breakfast. Traditional fish broth-based soups and stews are everyday staples in many parts of the world. 4. 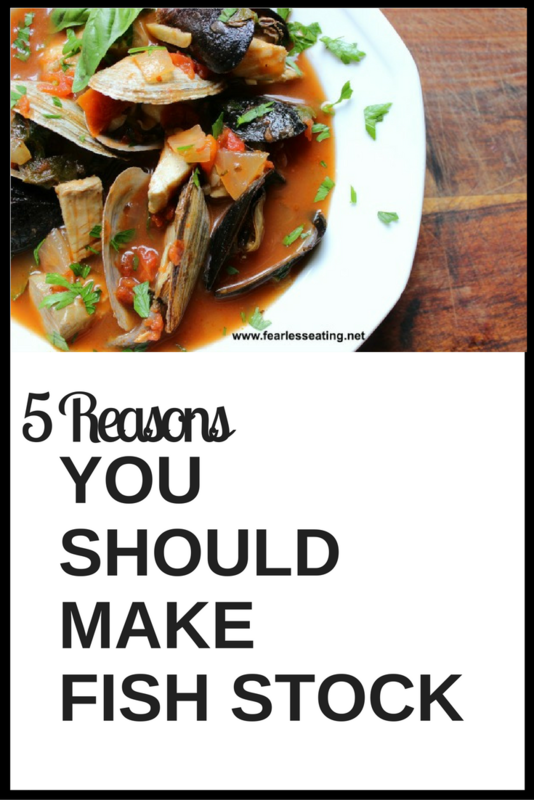 You Can Make Cioppino! Cioppino is an Italian fish stew that originated in San Francisco and I don’t think it’s humanly possible to dislike this dish. If you’re one of those that dislikes seafood, just give it a chance. I don’t care how many filet o’ fish sandwiches you ate at a kid, this recipe will turn the tide of your taste buds back to the way fish should taste. But what I also love about cioppino is its simplicity and it’s variability. Traditionally, it was made with whatever came off the boats that day. Basically, take whatever seafood you want and simmer it in a simple base of fish broth, wine, tomatoes and herbs. It’s really that easy. And totally addictive. Throw in a mid-summer ocean-side setting, a sunset, good friends and family and a bottle of wine (or three) for the ultimate cioppino experience. For me, it doesn’t get much better than that. 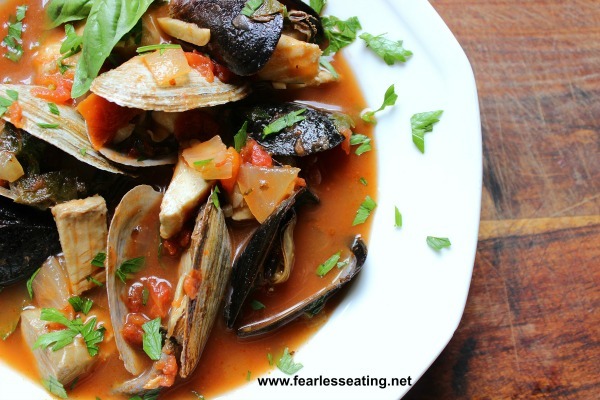 Below is the recipe for Basic Cioppino from my upcoming book, Fearless Broths and Soups: Ditch the Boxes and Cans with 60 Simple Recipes for Real People on Real Budgets. Cioppino is a tomato-based Italian fish stew that originated in San Francisco. Heat olive oil in a stockpot over medium heat and saute onion and garlic until softened and fragrant about 5 minutes. Add wine, fish broth, tomatoes, tomato paste and thyme and bay leaves. Bring to a boil then turn down heat and simmer gently for about 10-15 minutes. Add the steamers and mussels and simmer until the shells open, about 4-5 minutes. Next, add the white fish and simmer until cooked through, about 2-3 minutes. Top with parsley and basil and add salt and pepper to taste. You can add any seafood you want – lobster, scallops, shrimp, crab, other types of fish, squid, etc. Needless to say, fresher the seafood, the better. Similarly, add any herbs and spices you want. A little red pepper would add a little zing in step 2. You can also sub a dry white wine for the red wine. Either one will work. I think red goes a little better with the heartiness of this dish but white wine is commonly used too. Finally, add some good quality bread on the side for dipping in the broth. There are also dozens more broth and soup recipes that use more standard broths like chicken and beef. With chapters on Asian noodle soups, creamy vegetable soups, simple sausage and meatball soups and simple broth-based breakfast recipes for those rushed AM hours, there’s a little something for everyone. 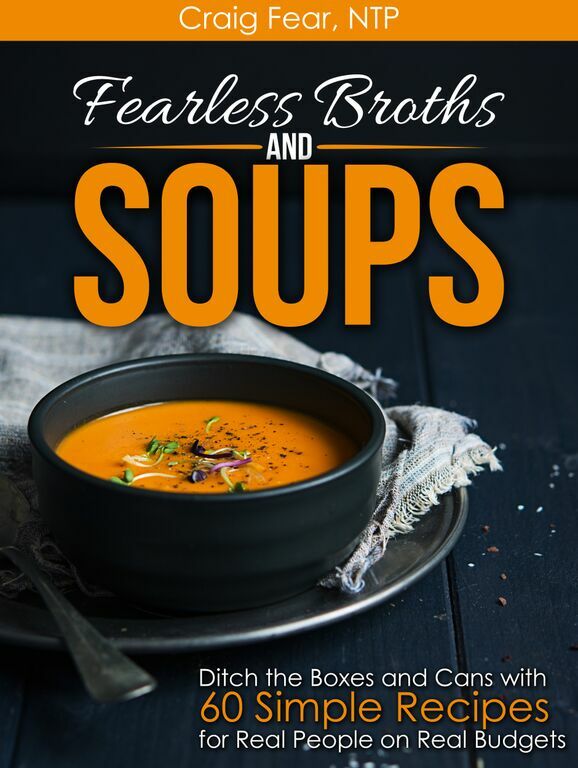 You can find Fearless Broths and Soups right here on Amazon.